So this is going to a fairly visual post as I'm still slogging through layouts for my book - which happens to feature work by one of the prizewinners! Of which more later. 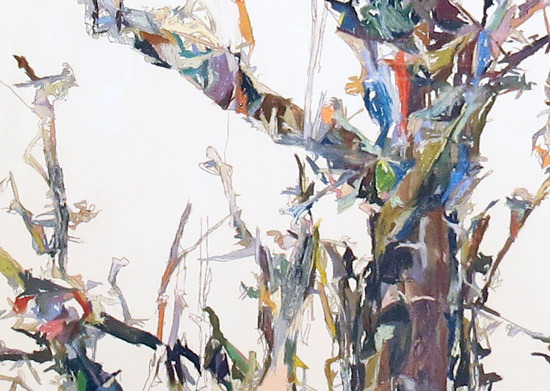 The exhibition accepts work in Pastels, oil pastels, charcoal, pencil, conté, sanguine, or any dry media. 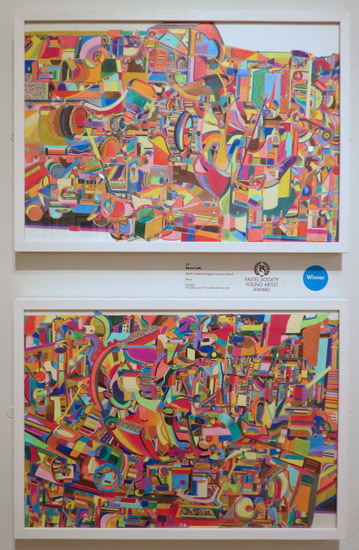 This year's exhibition looked very good hung on the walls. To my mind it looked a lot more contemporary than some of the annual exhibitions of some of the fellow FBA societies. Which is not me saying I liked all I saw which was trying to be more contemporary - but I liked a lot of the exhibition. 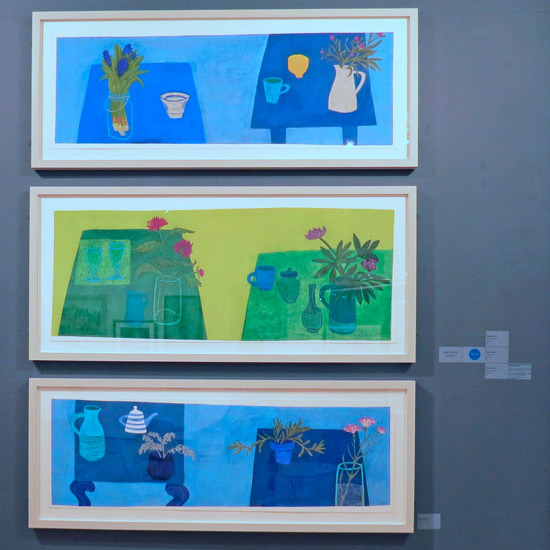 (You can find links to previous annual exhibitions of The Pastel Society at the end of this blog post). Click the links in the artists' names to see more of their art on their websites or Facebook Page. You can tell the relative size of work by comparing the size of the Blue Stickers which signify a winner - which are all the same size. You can also review The Pastel Society Catalogue on ISSUU (it will open to full size if you right click the link in the title and open in a new tab). This means you can also see all the artists selected for the exhibition and details of the works listed including prices. You may well have seen the prizewinners on Facebook. 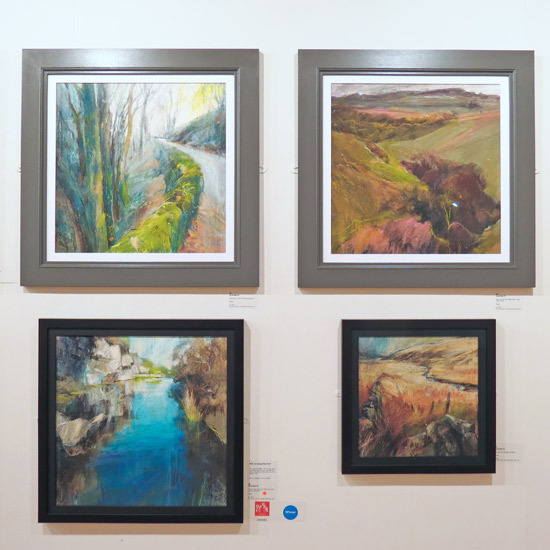 Full marks to The Pastel Society for getting their prizewinners up at the beginning of the exhibition and doing some decent marketing of the exhibition on Facebook and via Issuu - I'm sure it will have resulted in an increased awareness that the exhibition was taking place. You can see them below in alphabetical order of prize. Where I've taken a shot of a group of works by the artist which includes the prizewinner I'll show the shot of the group so you can see the themes and overall impact of the artists' work. 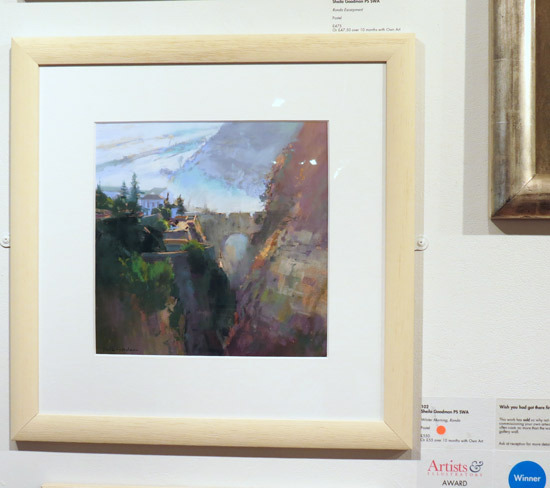 It's really nice to see a signature member of the Pastel Society of America with an entry in the exhibition! I hope we can look forward to more such entries in future years! Tony is also a Master Pastelist of the Pastel Artists of New Zealand. You can also follow him on his blog. Such a pity it wasn't hung as a dyptich. I can't find a website but did find a Facebook Page - but not a lot of art on it. I always look out for Sheila Goodman's work as she invariably produces something that I like. Looks like Artists & Illustrators agree this year. so found it particular fascinating to see what Sheila made of it. Warm Rocks and Cool Water at Haytor Quarry, Dartmoor (50 x 50cm) £1,450 - Sarah Bee PS. 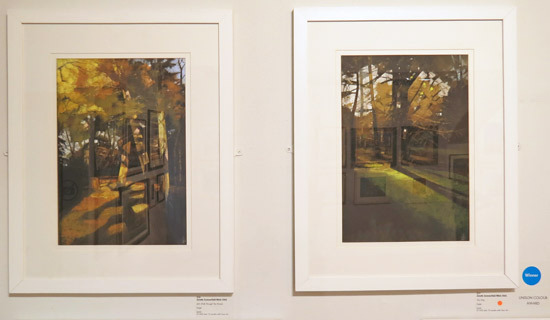 I always look out for Sarah's work at every Pastel Society Exhibition - she uses all the painting and drawing aspects of pastels so well. 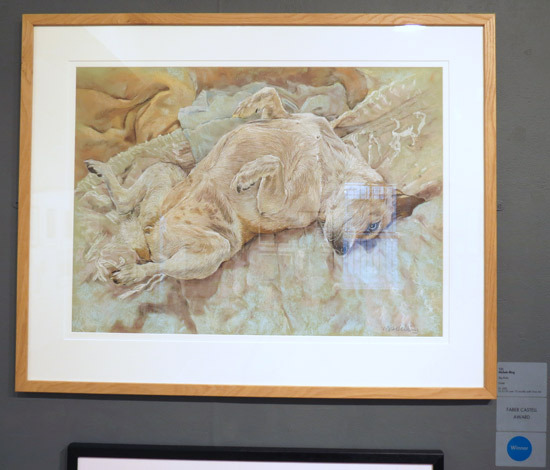 She was elected to the Pastel Society in 2005 and has been a consistent prizewinner. I also very much like that she frames her pastels as paintings not drawings. 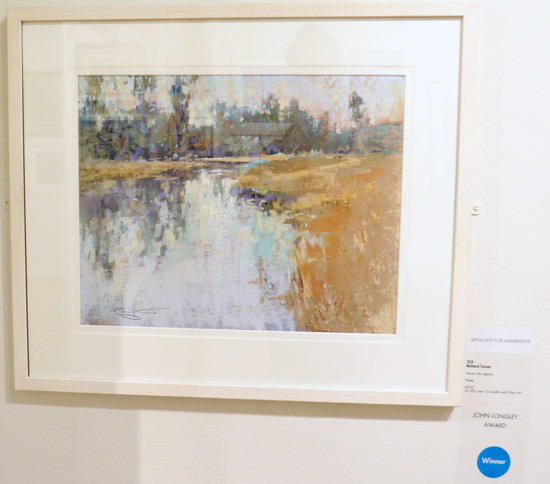 In July, she's exhibiting at Yvonne Arnaud Art 2014, presented by Guildford Arts, The Mill Studio, Yvonne Arnaud Theatre, Guildford, Surrey, GU1 3UX. You can find out about her workshops on her website. 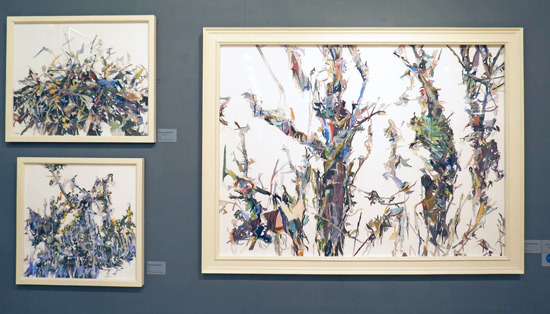 One of the truly stunning walls in the exhibition comprised three works by Patricia Cain - former winner of the Threadneedle Prize. I'm used to seeing lots of drawings of construction sites by Patricia - and this work portraying hedges and trees is a new departure. As ever they work on two levels both as structures and when you look ore closely in terms of the variety in use of colours and markmaking - see below. These seem to stem from an RSA Residency at the Barns-Graham Trust. I see Patricia has a brand new website. Click on images to see them open up to more images. 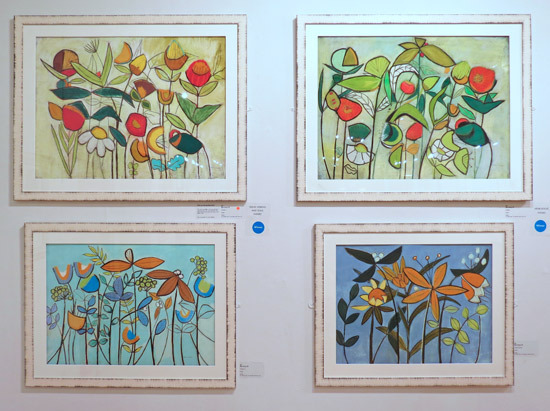 Jeanette's work is always full of strong colour patterns producing contrasts with more muted tones and lots and lots of interesting mark-making. She is also the Vice President and Publicity Secretary - so I'm guessing is in part responsible for some of the improvements in the way the exhibition is publicised. 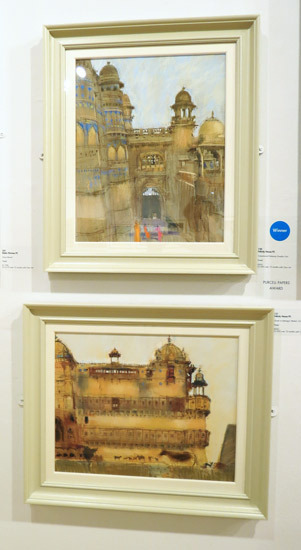 The top artwork is the Winner of the Derwent Awardand the two below sold! Bess Avery won TWO awards! 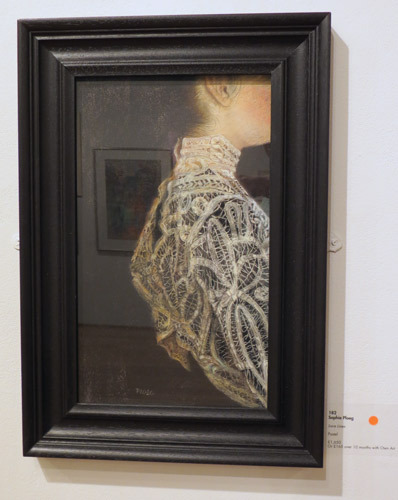 I very much liked this piece and if his other works are also good I should think he stands a very good chance of becoming a member of The Pastel Society. 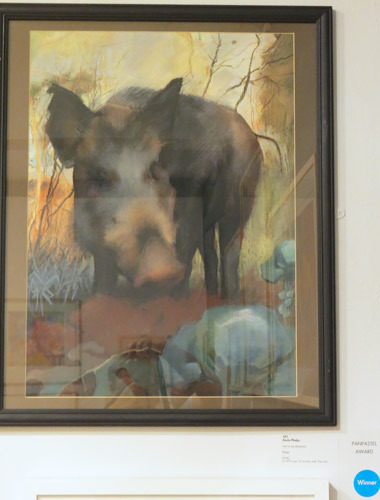 Not in my Backyard (Pastel) by Annie Phelps £700 (this was selected from the open entry). I love this one - an unusual subject, such a cheeky pose and a funny title! 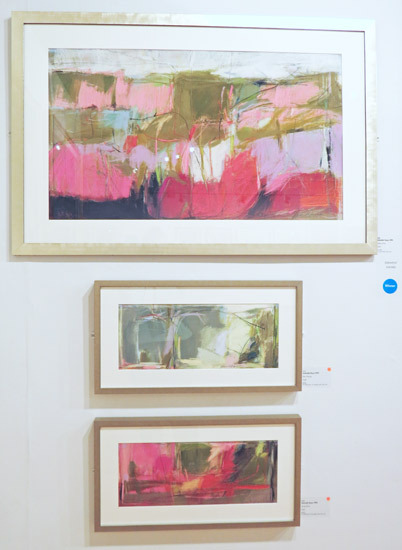 I'm a huge fan of pastels by Felicity House which is why her work features in my book. What's not to like - the design, draughtsmanship, colour palettes and mark-making are always impeccable. The work underneath is called Goats at Jahangiri Mahal, Orcha. The Lavender Garden by Claire Spencer PS (which for some reason I didn't photograph. I seem to recall trying but it was very awkward as it was hung next to the stairs). 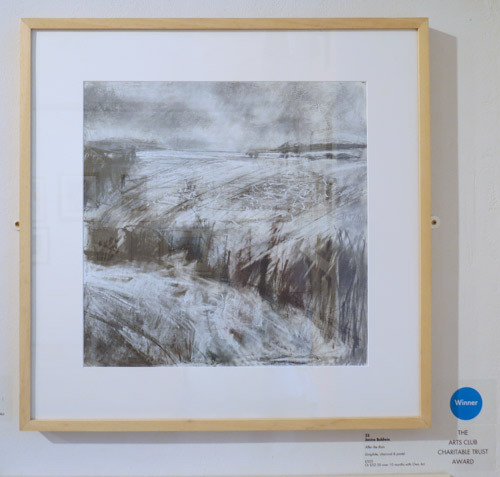 After the rain (Graphite, charcoal and pastel) by Janine Baldwin (£525). Nice to see a piece which uses graphite and charcoal. 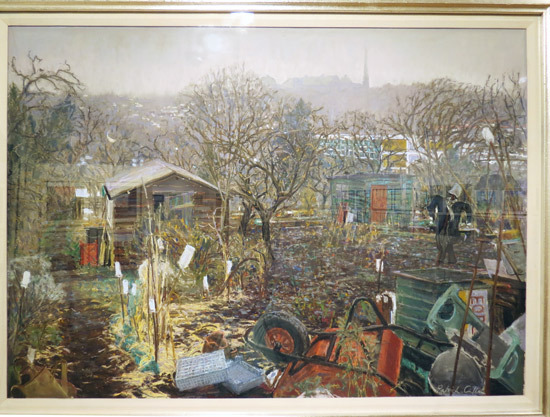 It's a good reminder that the Pastel Society's criteria includes other dry media. 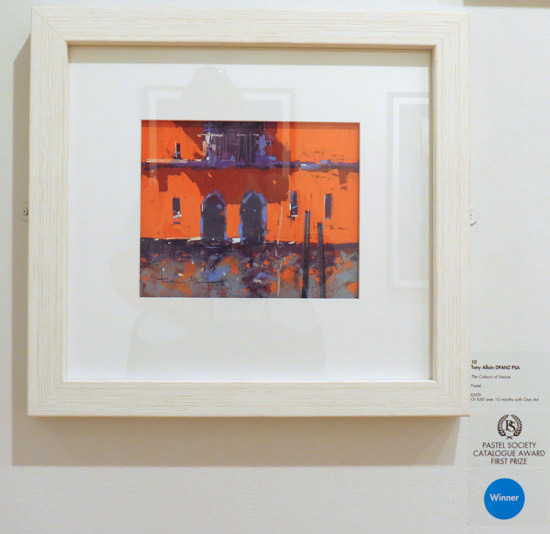 Janette has a very bold and graphic way of using pastels which makes for a striking painting. I very much liked this work by Patrick Cullen NEAC who's another of those artists where it always seems to me impossible to tell the difference between his pastels and his oils. their complete catalogue on ISSUU? an article in DecoArt Magazine (this was the one for the Pastel Society)? prizewinners being publicised on the day of the exhibition opening? That's very much better than most art societies I see - and is definitely something a lot more should think about emulating.